Happy Friday you guys! It's been a little quiet here and on my social media lately and I have to say it is so nice to have time away from the phone and soak up all the family time! A few things we've been up to: we celebrated Finn's 3rd birthday, made a trip to Chase's parents house and got to visit for a weekend with his brother who was home from the Navy for a week, Finn started his summer school and now we are gearing up for the 4th and Vivian's 5th birthday in between baby appointments that are now every two weeks! Whew! Summer is always super hectic for us because all of our birthdays are this season plus the holidays and lots of family trips! I promise to be better at keeping you guys posted on everything and I have a few blog posts I'm sharing within the week on all the fun stuff that's been going on! 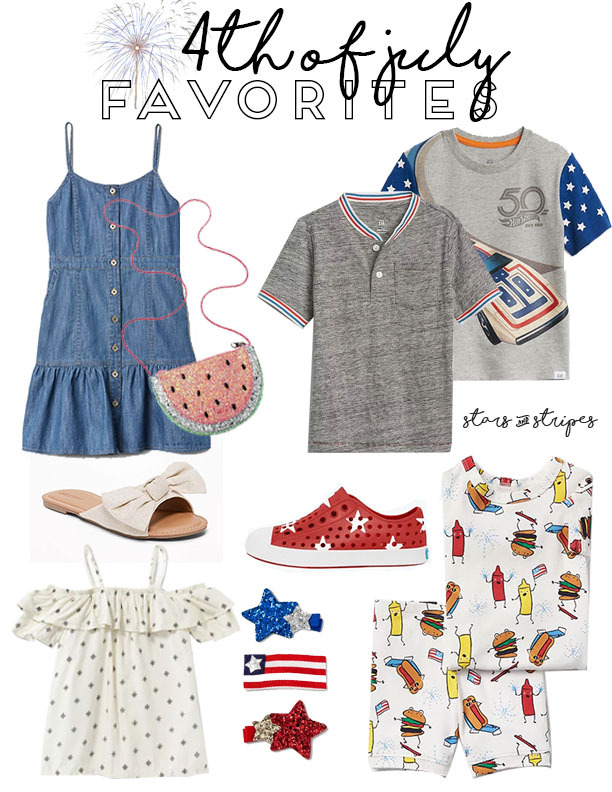 I wanted to share a few last minute 4th of July finds though so if you're like me and are super crazy busy, you can still buy these items online and pick them up in store! Who else LOVES this feature that most stores are doing now? I hope you guys like this roundup and thank you as always for following along! Love you all and have the best weekend!